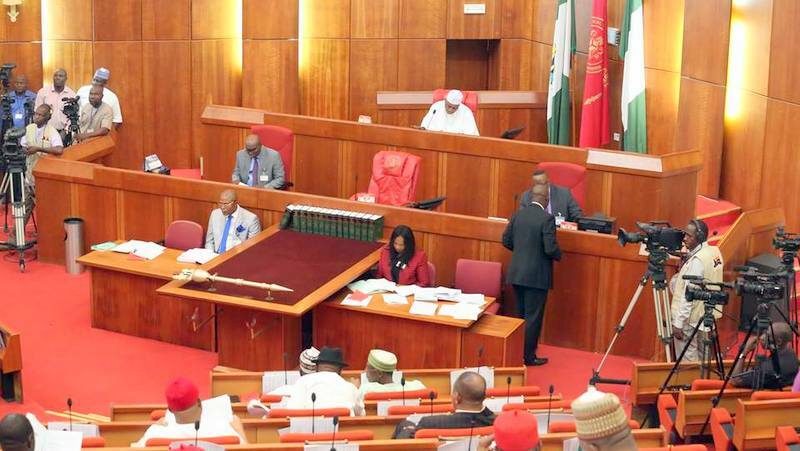 Nigeria Senate has begun investigations into the violent clashes between Cameroon security forces and citizens that has led to the fleeing of many into Nigeria. According to the senate, such action has resulted in loss of lives and properties of innocent Nigerians, also threatening border security. The Senate ordered Police Affairs and National Security to probe into the issue, Monday November 20 2017, after a point of order raised by Senator John Enoh, APC, Cross River Central, illustrated the gravity of the problem riving in the border between Nigeria and Cameroon. According to Enoh, it was the duty of the Nigerian government to protect its citizens from internal and external aggression, lamenting that the affected people from his political jurisdiction had been abandoned to face operations from the Cameroonian military aggressors. The Senator called on the senate house to create a commission of inquiry that will end the stalemate going on in his constituency. The lawmaker also urged the various arms of security agencies to see how much help they could provide to ensure that the migrated people of Southern Cameroons were protected. In his remarks, Senate President, Bukola Saraki, who presided, noted that it was the responsibility of government to provide adequate security at the borders and also ensure safety and security of the citizenry and refugees in the country. He referred the matter to the Committees on Police Affairs and National Security, mandating them to carry out a thorough job on the reported border conflict and report back to the Senate for further legislative action. Nigeria has come a long way to be what it is today, it was not an easy ride and it is still not an easy ride. We will never forget their generosity and open heart.